Beards are in today, globally everyone is sporting it with much pride and pattern. There is a fad that is running through the mind, in the race to look more suave, but this is today, the modern days. Beards have their own history, they have been sported since times immemorial as a symbol of pride, existence and power. They might have been used to disguise as someone, they might have been considered a religious affair and what not, but they have stood against the times and now being accepted willingly. Do you sport a beard? Know someone who sports a beard? Share your story. 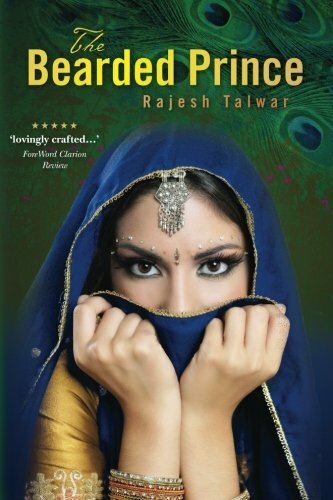 I recently read The Bearded Prince by author Rajesh Talwar, a story of a princess and the prince, but obviously, with a beard. The story is set in the days when kings and their kingdoms existed, unlike today. The story is also about the human emotions, that arise when you go through a story, when you live through it and when you feel connected. The story of The Bearded Prince starts with Princess Roopali being introduced, her nature, her skills, her actions and her commitment. Princess Roopali's father, the king, wants her to get married and announces the Swayamvar of the Princess and princes of various neighboring kingdoms are invited to win over Princess Roopali with their talent by representing why they deserve to be married to the Princess. Princess Roopali, has set her own requirements, in her mind, that the princes should meet and only a handful of the fifteen meets these requirements. The story does end with Princess selecting the prince she wants to marry, but who is that prince? Why is he selected by Princess Roopali? Does he sport a beard? Read to book to know the end. There are certain things about The Bearded Prince which are good and one of them is the simple writing and the overall narrative. The flow of the story is free from any forged suspense or distractions. I found the narration of the story incomplex which makes it a smooth read, however I think this book is a perfect read for kids or something that can be read out to the kids, adults may not prefer it because of its simplicity and shortness, it's a very quick read. 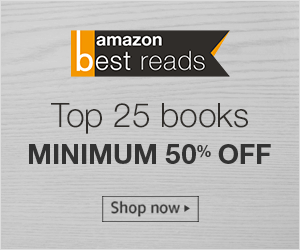 The Bearded Prince is an error free book, takes you back to the era when Swayamvar was a cool thing, unlike the one's portrayed in the unreal reality TV shows. I would recommend this book to anyone who would want their kids to read something good, which has reasoning, goodness and virtue, and a message to conclude with. You can order a copy of the book from Amazon (e-book) & Amazon (Paperback).